Maybe you’ve heard the news about gamification—how it’s spreading like wildfire among thought leaders and developers, how it turns the mundane into the engaging, or how it’s reshaping many aspects of the way people do business in the twenty-first century. 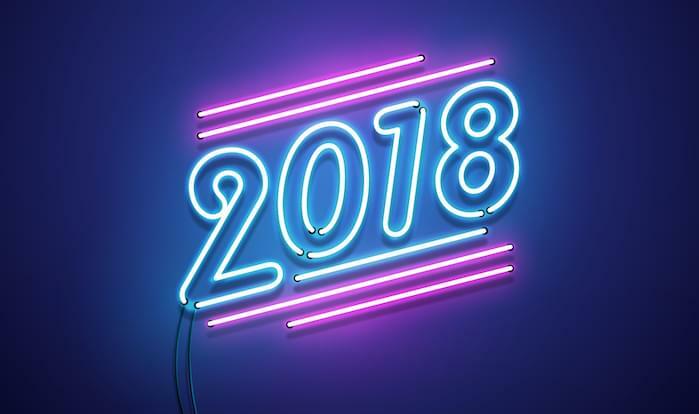 Prominent companies such as Nike, T-Mobile, MLB, Ford, and eBay have already launched major gamification campaigns, and research firm Gartner predicts that almost half of Global 1000 corporations will use gamification as “the primary mechanism to transform business operations” by next year. Maybe you know this already. Maybe you saw some of the gamified products at the recent Dreamforce conference and your interest is piqued, but you aren’t sure how to implement such a solution. How does one “gamify” a sales team, for instance? If you run a sales team, you rely on your CRM (customer relationship management) platform for, well, just about everything. 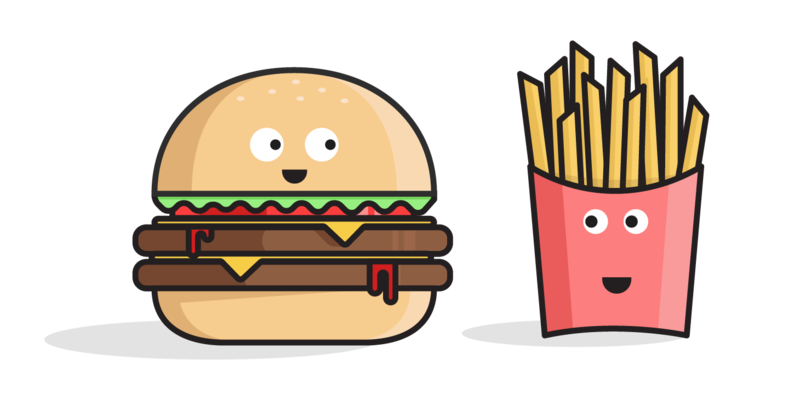 If your sales team is medium or large sized, there is a good chance you’re using Salesforce. 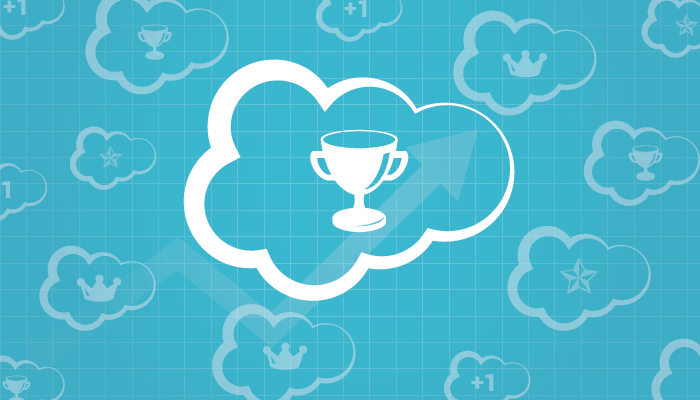 Below, we’ve rounded up four Salesforce gamification apps, that allow you to combine motivational effects of gamification with the power of one of the market-leading CRM applications. Some are Salesforce-native; others integrate with a variety of CRMs. LevelEleven is a cloud-based gamification app designed exclusively for Salesforce, which means any metric that Salesforce tracks, LevelEleven can gamify using a combination of leaderboards, points, automated emails, social recognition via Chatter, and badges from Work.com. LevelEleven places most of its emphasis on competition and recognition, using a public leaderboard to motivate reps. 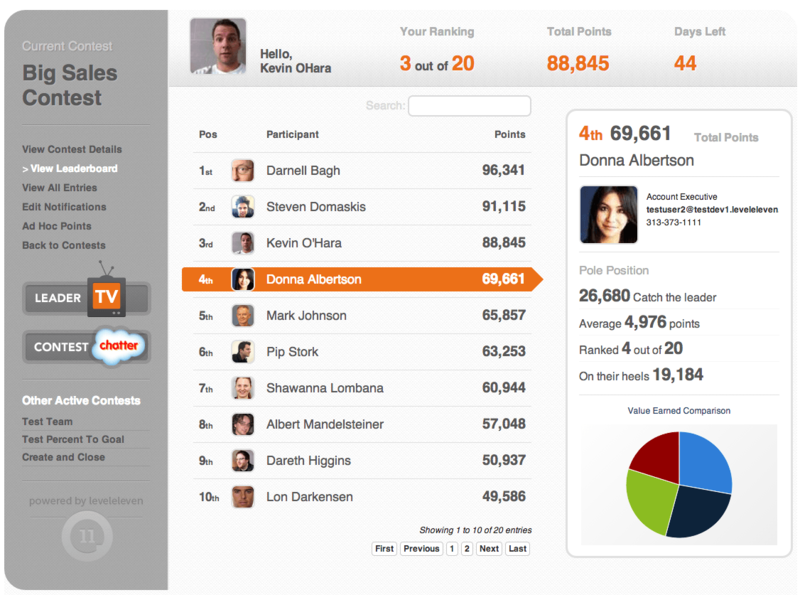 The leaderboard updates itself in real time and sends out notifications through email, CCTV, and Chatter. Users also have the unique ability to customize a profile on Chatter that represents their personal brand and lets other know how well they’re doing. From an administrative standpoint, LevelEleven is adaptable and user friendly. It comes with a fully functional mobile app and a short installation time of 20-45 minutes. You won’t have to work with any APIs or do any restructuring to get started. LevelElevel is on the high end of the pricing scale, but it’s not as steep as other “engagement platforms,” such as Badgeville. The “Mini” version, which covers up to 10 users, costs $400 per month. The Enterprise edition is $12,500 per month, and covers unlimited users with a complete features package. 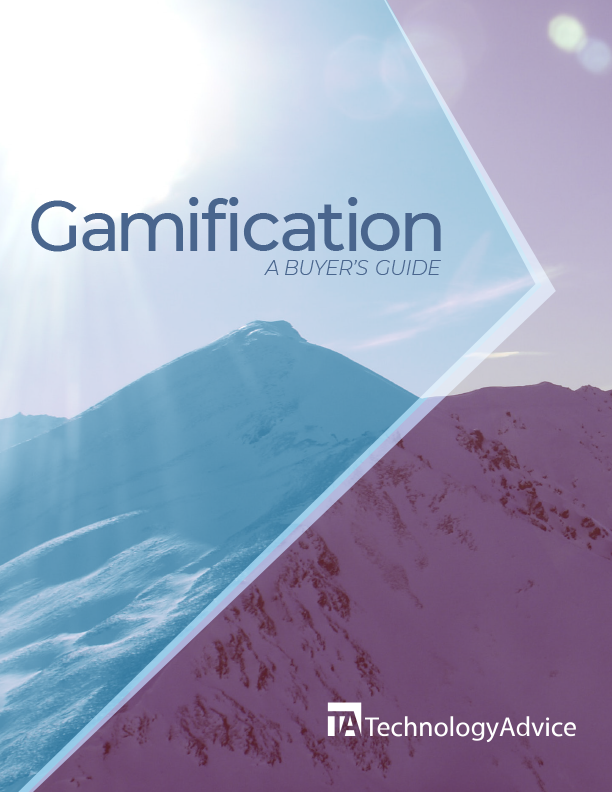 Companies such as eBay, Akamai, and Comcast have already turned to LevelEleven for their gamification needs and have seen measurable results. Another Salesforce-native cloud service, Hoopla’s motivation platform uses many of the same tools as LevelEleven to boost sales and engagement, such as public leaderboards, real-time updates, and badges/rewards through Work.com. 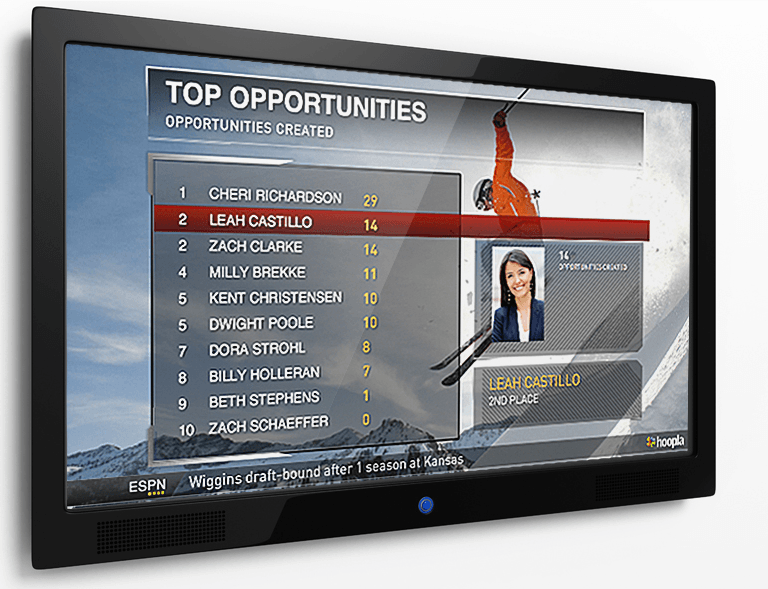 Hoopla distinguishes itself by incorporating streaming video and powerful customization into its game displays (for example, you can upload your own image, video, or music file into the televised leaderboard and define what events will trigger it). Instead of integrating with Chatter, Hoopla also has its own public user profiles that are accessible from within Salesforce. Hoopla is quick to install, and allows managers to create competitions, contests, or leaderboards around any metric they choose. The Hoopla mobile app extends these same abilities to smart phones and tablets. Hoopla is less expensive LevelEleven, which makes it a better option for small-to-medium-sized teams. The “Unlimited” edition sells for $28 per user/month. The entry-level “Performance” edition is $18 per user/month. 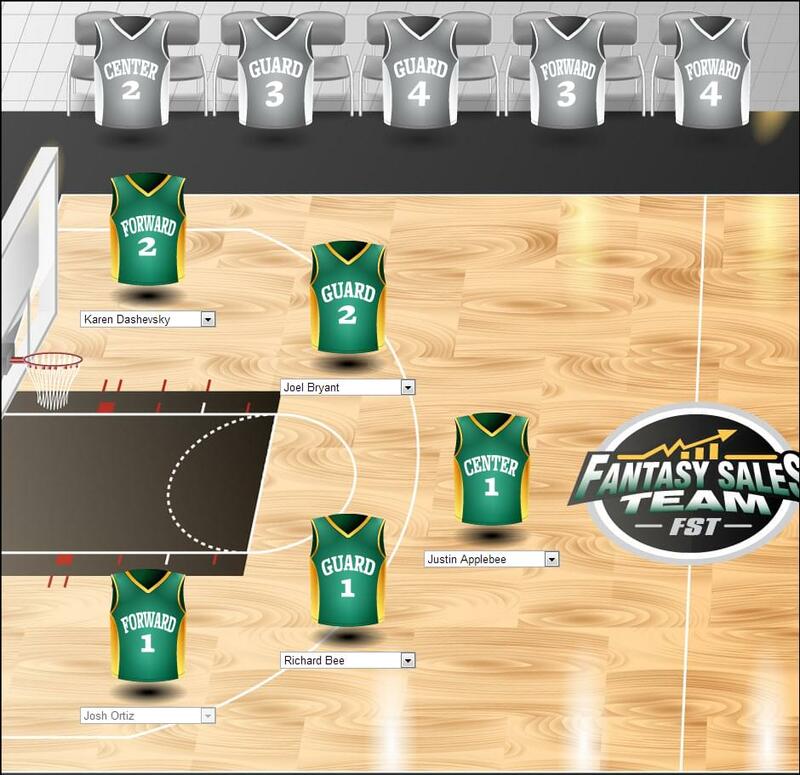 Fantasy Sales Team (FST) is modeled after fantasy sports competitions, which have gained significant popularity in the past decade. This sales motivation platform integrates with Salesforce and other leading CRMs such as Microsoft Dynamics, SAP, Oracle, and Zoho. FST focuses on using collaboration and competition to motivate sales teams, which, aptly, is a distinguishing characteristic of competitive sports. Administrators assign reps to “positions” based on skill and experience, which gives everyone an equal chance of being drafted. Then, users draft their own fantasy teams and manage them in order to win points (players can be on more than one team at a time). Pricing comes at a flat rate of $20 per player per month, or $5 per player per month for televised leaderboard features. FST has been successfully used by companies to boost sales, including HP, LinkedIn, and Harte-Hanks. Ambition is an innovative gamification add-on designed primarily for use with Salesforce and McLeod CRMs, although you can also upload data from spreadsheets, phone systems, and other programs. 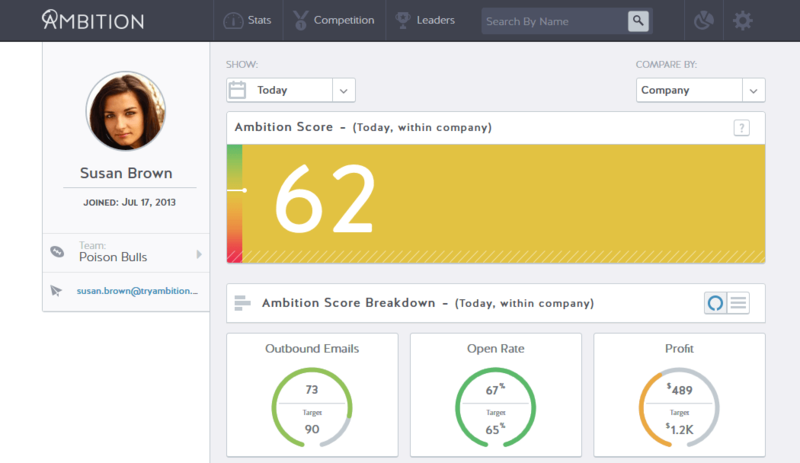 Ambition’s central feature is a scoring system where each user is given a number value based on their specific job title and customized benchmarks. This value, called the “Ambition Score,” is a public and transparent measure of overall effectiveness, which makes it a powerful accountability tool. Users know where they stand, and managers know when to coach or reward them. As with FST, Ambition users can draft their own teams and compete against other teams in the spirit of fantasy sports leagues, while public leaderboards broadcast a live stream of competition updates. Check out an interactive sample profile on the Ambition homepage, under “ProductTour.” Ambition starts at $20 per user/month. The struggle of engaging employees has long plagued sales managers. It is estimated that poor engagement cripples 70 percent of business initiatives, and you’d be mistaken to think your team is immune. Add-ons like these apply the psychology of motivation to the workplace, causing employees to become personally invested and intrinsically motivated to succeed. If you’re ready to bring gamification to your sales team, start your search with our product selection tool, which will show you a custom list of gamification apps based on the features you value most. Learn more about the benefits of Gamification with our market-leading research. Thanks for the update, Jeremy! We made the edit.